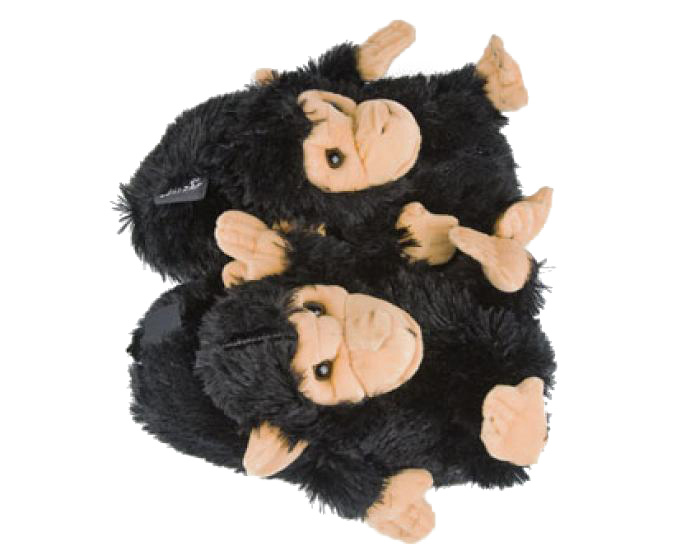 Go bananas with these Black Monkey animal slippers. 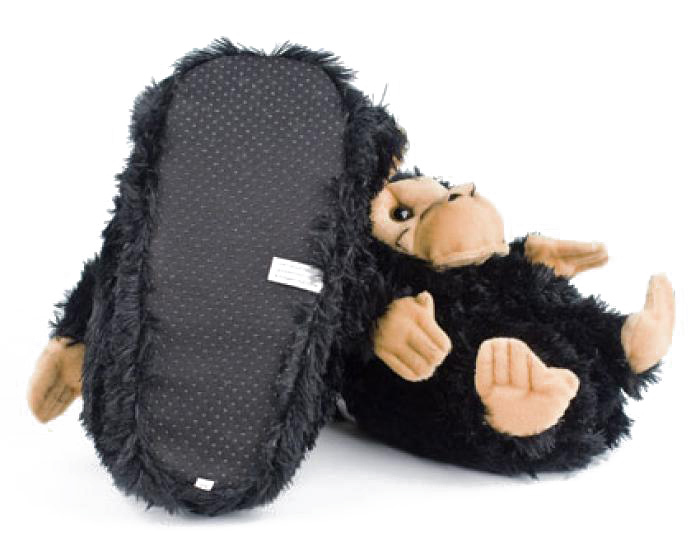 The plush polyester fibers and one-inch high density foam will keep your feet warm and comfy, while the durable outer sole and reinforced stitching means these slippers will last. Detailing includes deep, rich eyes and a thick, lush coat that are true to the real thing. 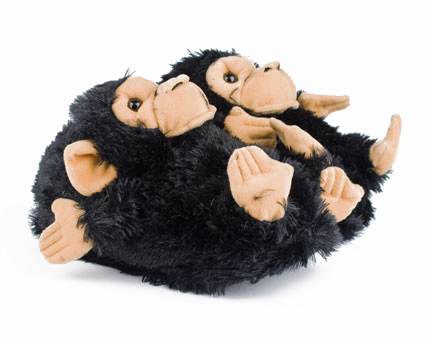 The Black Monkey animal slippers come in five sizes, ensuring a comfortable fit for every member of the family. 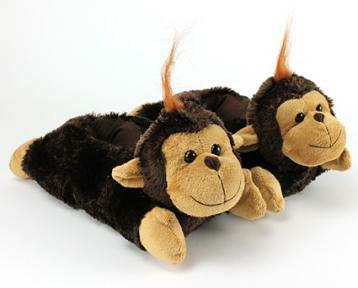 The monkey slippers are so cute & soft. They are cuter than in the photo. A gift- my friend loves them. Super cute! Got them so fast, think in about 2 days. 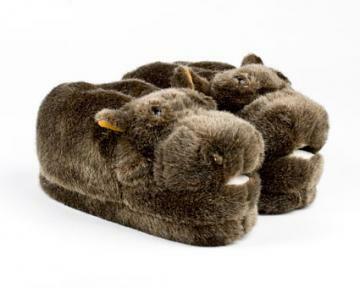 They are super comfortable and so soft. Advantages: Cute, soft and totally adorable. I'm really satisfied with the purchase! Very comfortable and do meet expectations! Strongly recommend it. Advantages: Very comfortable. Cover your feet over your ankles and keep them warm and soft. Disadvantages: Be careful with the size. I ordered XL size for my regular 7 1/2 shoes size. Advantages: Your are the only Web site where i could choose the size i want. Disadvantages: Slippers has broken the first day i were it. One of the monkey hand has fall off. 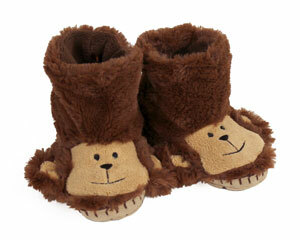 I ordered the monkey slippers for our son and he loves them! He said they are very comfortable! 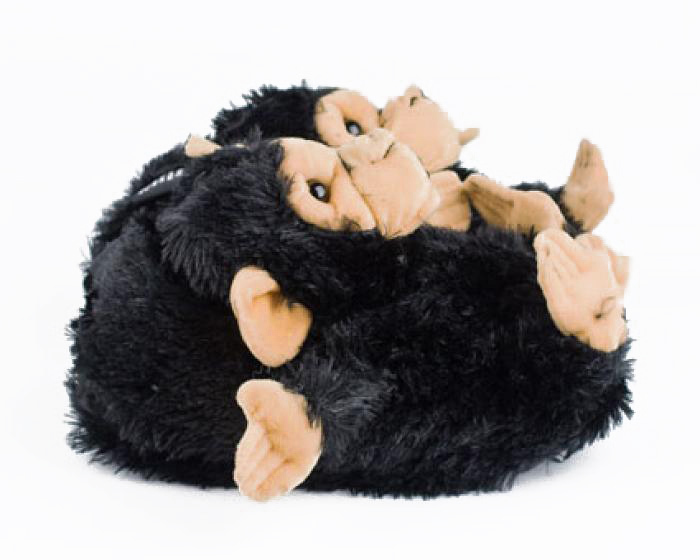 Advantages: The monkey sits on top of the slipper, so the arms and legs don't get caught on things when walking around in them. Disadvantages: We ordered the largest size and they fit perfectly. The disadvantage is what to do when he grows out of them! I was very happy with my purchase although my son hasn't fit them on yet but I compared them with his shoes an they shud fit. we bought these to match gran's pj's and dressing gown and the kids are always chasing them. 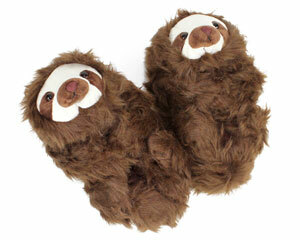 I LOVE these slippers. I initially bought them as part of a costume for a party a friend was having, but after wearing them for a couple hours they were soooo comfortable I continued to wear them. The only issue I have is my dog is terrified of them. She barks at them when I wear them around the house. Advantages: They are so comfortable. My feet feel like I am on pillows. Disadvantages: Kinda clumsy at first, but I got around that quickly.